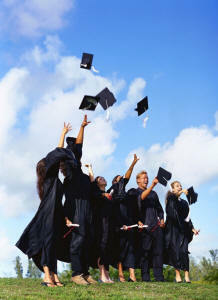 Each New Jersey high school is entitled to select one graduating senior per language taught. The teacher submitting the student name must be a current member of FLENJ. One student award per FLENJ member. Please allow 3 weeks from the date of submission for your request to be honored. Deadline: At least three weeks before the date of the awards ceremony in your school. Honor Your Seniors at Graduation in 3 Easy Steps! Step One: Make sure that the nominating teacher is a current member of FLENJ. Step Two: For each world language that your department offers, select one senior who has distinguished him/herself in the study of that language. Step Three: Complete the online nomination form here and submit it at least three weeks before your awards ceremony. Each nominating teacher must be a current member of FLENJ. If you are not certain of your membership status, inquire at membership@flenj.org. Schools may nominate only one student for each language offered. Each student must be sponsored by a different teacher unless the nominating teacher instructs in more than one language. Only teachers who teach two languages may nominate one student per language taught. All nomination forms from your school must be mailed together in one envelope. to access the nomination form.